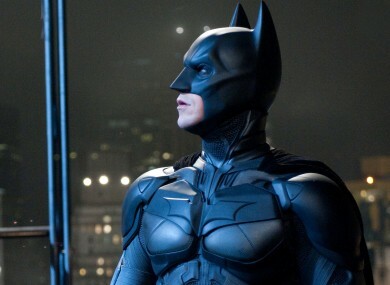 A producer of The Dark Knight has been staking out locations in the city with a view to filming a €105 million action flick there. IT SEEMS A flavour of Tinseltown could be heading for Limerick as a major Hollywood producer scouted the city recently with a view to filming his latest blockbuster there. Philip Lee, the Hong Kong producer whose credits include The Dark Knight and Crouching Tiger, Hidden Dragon, is planning on shooting parts of his €105 million production Inversion in the city, according to reports. Lee and a group of other producers spent the weekend in the city recently whilst scouting out the former Dell building, a 350,000 square foot facility which local authorities are hoping to turn into a major film and television studio, according to the Limerick Leader. That venture sees Limerick City and County Council in negotiations with Bray-based Ardmore Studios to purchase the facility with a view to developing it into a major production hub. We're gonna need to find a hill & put L I M E R I C K on it! Ardmore, the studio behind tv hits The Tudors and Penny Dreadful, is reportedly struggling to cope with the demand for its studio space and as such is keen to expand. The purchase is being conducted by Limerick Council’s culture arm Innovate Limerick. A spokesperson for Innovate Limerick told the Limerick Leader that the group were close to “finalising negotiations”. “We expect negotiations to be completed shortly,” they said. We are doing everything we can to facilitate it. Inversion, to be directed by Need For Speed director Scott Waugh, is an action flick that concerns the gradual loss of gravity on earth. The movie, currently in pre-production, is slated for a 2016 release. Email “Is a big-budget blockbuster heading for Limerick?”. Feedback on “Is a big-budget blockbuster heading for Limerick?”.